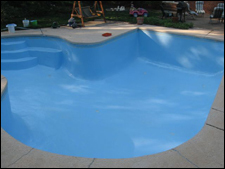 UltraGuard, since 2003, is a proven and quality product used by over 4500 customers and it is now justifiably called Super Epoxy the ultimate pool restoration. 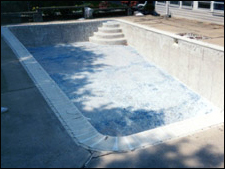 If you have a major in-ground plaster pool repair weather it's a fiberglass swimming pool or a gunite plaster pool repair we have the experience and the answers to all swimming pool restoration problems. 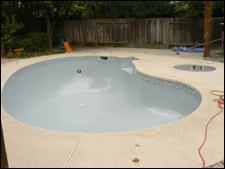 We know and our competition knows that we have the best refinishing product for plaster swimming pools in the industry today but it's only as good as the preparation of your pool. 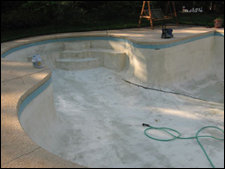 We will not sell our plaster swimming pool resurfacing system unless your old plaster swimming pool is prepped 100% our way. 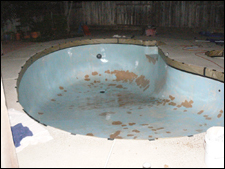 We have found that one of the main reasons why our product does not fail is because we speak with all of our customers and tell them exactly what has to be done so they know how to prep their plaster swimming pool for their new swimming pool finish. CLICK HERE TO SEE WHAT YOU NEED TO KNOW ABOUT STEVE SAWTELLE AND SAWPAINT. A PERSON YOU CANNOT HAVE CONFIDENCE WITH. What the pool industry doesn't want you to know. Since 2001 we are the original Ultraguard. Do not be misled. Please listen to Ken's video. 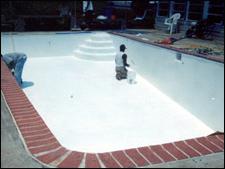 ©Copyright 2001- Ultraguard Swimming Pool Resurfacing, All Rights Reserved.